FEMA will be stepping in to fund landslide mapping in Sitka. The Alaska Division of Geological & Geophysical Surveys, who will be leading the research project, announced the news on Tuesday. 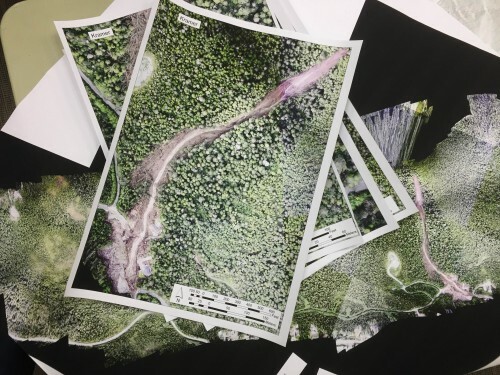 Deanne Stevens, a chief geologist for DGGS, said the agency has been given $110,000 for two years of research through a program called “FEMA RiskMap.” The goal is to create a comprehensive map of landslide risk in the Sitka area. Sitka was given a competitive edge for this funding through new LIDAR data, collected by DGGS this summer in partnership with the National Park Service and U.S. Army’s Corp of Engineers Cold Regions Research and Engineering Laboratory. The dataset – which mapped Sitka’s topography with a laser beam – will provide a useful foundation for the team’s work. The LIDAR data has been released and is currently available online at CRREL’s Geospatial Repository and Data Management System (GRID) site, and will soon be accessible on DGGS’s Elevation Datasets in Alaska interactive map. In addition to the LIDAR data, the research team will analyze already existing geologic data and modeling algorithms for landslide hazard. The research project officially began on Saturday, October 1st and the final report is due in September of 2018. But, Stevens adds, the data will be made available to the public as it’s collected. “There won’t be any delay in sharing this information with the community and emergency responders,” Stevens said. FEMA was already working to develop a multi-hazard risk report for the Sitka area when the Kramer Avenue landslide occurred. The slide, triggered last August by heavy rainfall, tore through a subdivision and took the lives of three men. Since then, the city has contracted with the Seattle-based Geotechnical Firm Shannon & Wilson to develop a comprehensive landslide map and recommendations for mitigation in the South Kramer Avenue and the Gavan Hill area. That South Kramer report was published in February and the Gavan Hill report is due out in December. Preliminary research has suggested that Keet Goshi Heen Elementary School is in an area at moderate risk for landslides. City Administrator Mark Gorman says the mapping will inform how Sitka develops moderate and high risk zones and how properties in those zones are managed. FEMA will be holding a meeting in May of next year for citizens to meet the scientists and see the maps.